REF 724: This Dufour GibSea 33 of 2001 is a recognized as a tough construction sailboat that cruises smoothly in most winds. Powered by a Yanmar 3GM30FS - 27HP and fitted with roller Genoa and Lazy-jack Mainsail. This Dufour GibSea 33 sailing yacht comes along with an inflatable Nautend (of 2009) with an outboard Yamaha 2,5HP/4stroke (of 2010). Anti-osmosis treatment was performed in 2010. She has been very well maintained. 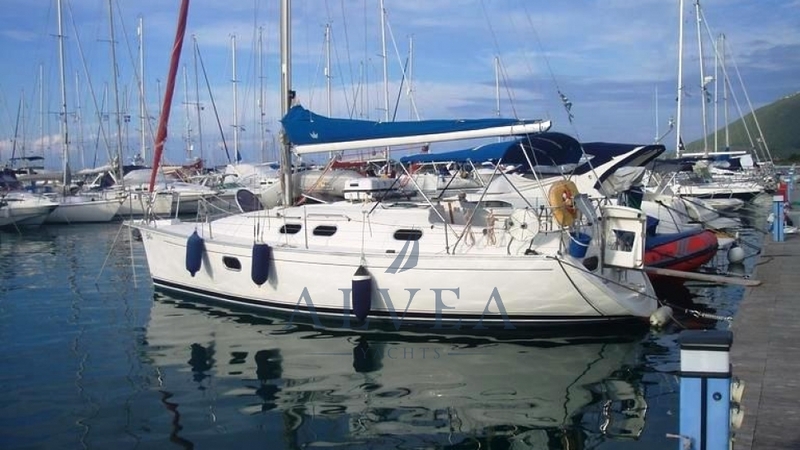 You are welcome to contact Alvea Yachts Brokerage for additional information about this Dufour GibSea 33 for sale.